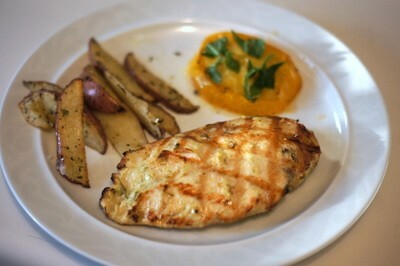 In last week's Monday Meal, I featured a recipe for grilled chicken with a tarragon-mustard marinade. I served the chicken with oven-baked "fries" alongside. Since then, a few people have asked how those spuds are prepared. 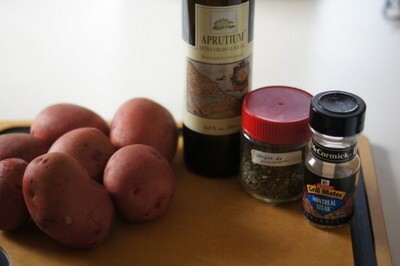 --- Here is my recipe for that very simple, but scrumptious, side dish. 1/2 Tbs. grill seasoning, such as McCormick Montreal Seasoning. 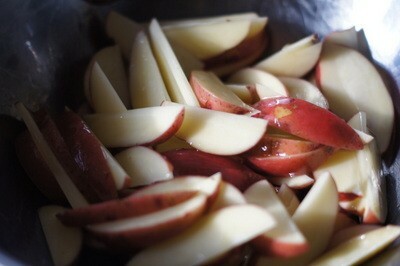 Wash the potatoes, dry them and cut into thin wedges. 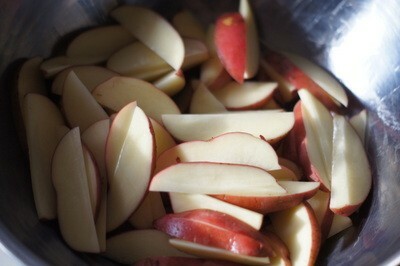 Place the potatoes into a large mixing bowl. Drizzle the potato wedges with the olive oil. Toss to make sure the potatoes are evenly coated. 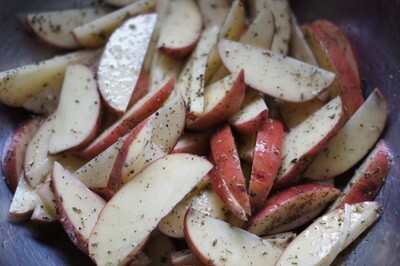 Sprinkle the potatoes with the herbes de Provence and the Montreal Seasoning. Toss again to evenly distribute the seasonings. 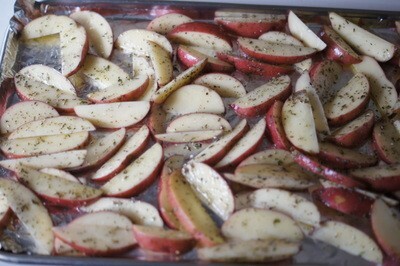 Line a baking sheet or pan with aluminum foil for easy cleanup. Spread the potato wedges onto the cooking sheet in a single layer. If you have too many potatoes, just use a second cooking sheet. 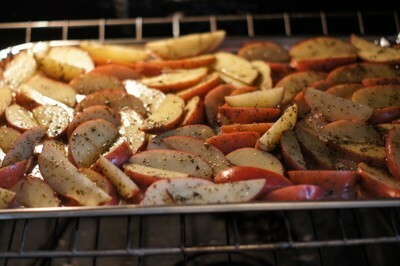 Roast the potatoes, turning once, until cooked through and crispy -- about 25 to 35 minutes, depending on your oven. The oven fries are shown here served with grilled chicken and grilled heirloom tomato.